Office Depot was established in 1986 with their first store in Fort Lauderdale, Florida and is the largest provider of office supplies to customers worldwide and has a presence directly or through partners in 59 countries (as on October 2017). They provide their service to millions of customers around the world, from small businesses, large companies and even the Fortune 500 companies. 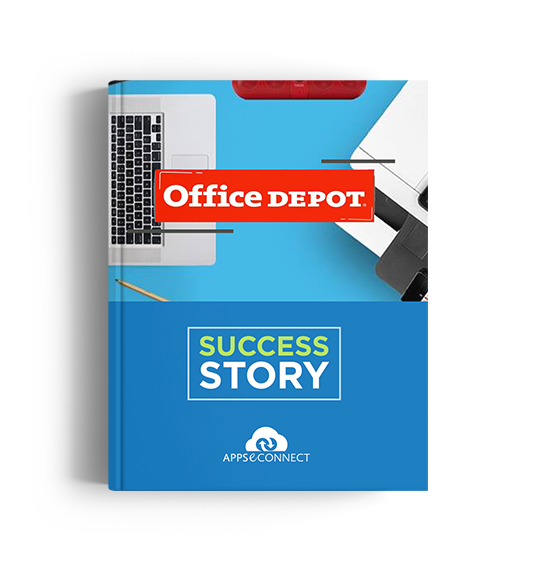 Office Depot is dedicated to providing office and stationery products and services to its customers through thousands of stores located across the world. It has a dedicated and professional sales team, catalogs of products and services of maximum level, in addition to Billions of dollars in sales through the Internet. It was very necessary for them to streamline eCommerce operations with Inventory, Order Management and Shipping Process and eliminate manual data entry and data redundancy. B2B, as well as B2C Business Process Management, was needed through the same website. Customer Sync from SAP B1 to Magento was essential to create new eCommerce Consumer Accounts. The business needed an end-to-end mapping between e-commerce and ERP business objects. In SAP B1 the customer faced many barriers due to the complex scenario raised. Automated data flow between the Magento online store and SAP Business One ERP. Ensured B2B and B2C Sales Cycle Management through one Website of Magento with SAP Business One. Many touchpoints such as Customer Sync, Item Sync, Stock Update, Order Fulfillment, etc get synced from SAP B1 to Magento. Web Orders are synced from Magento eCommerce to SAP B1 ERP System. Real Time data sync is available to reflect Stock, Order and Order Fulfilment instantly into another platform. Improved business efficiency on Order Processing and Inventory Management by more than 50%. Streamlined eCommerce operations with Inventory, Order Management and Shipping Process. No manual data exchange between applications and no data redundancy. Real-time data exchange to ensure online user’s satisfaction. Easy to use and has a great support team to guide customers at every step. Fully automated sync processes without any manual intervention. Most in-depth integration and end-to-end mapping between SAP Business One and Magento available in the market. Software scalability, online business and application growth support. Friendliness of the interface and all the easy and great functions, manual and automatic synchronizations, from the cloud or local. APPSeCONNECT has been referred to as the best-in-class integration solution by their SAP Service Provider and APPSeCONNECT Reseller Partner CEO Consultoria. Stationary, office items, electronics, printing paper. "A wonderful experience, working with the inSync team was and is great. The software is very well designed and performs its function perfectly. In implementations there are always barriers, but here comes the best of the product: the support, the inSync team is always the willing to resolve and help with all our needs. You could say that in my experience they are available 24/7, they broke all barriers, and everything was done as required. Another strong point is the friendliness of the interface and all the easy and great functions, manual and automatic synchronizations, from the cloud or local."